Are we dead? Are we dizzy? Well, to the best of our knowledge at least we’re not dead. When not busy fighting Sweden’s largest organized crime syndicate (generally known as Alliansen), we’re recording a new album. 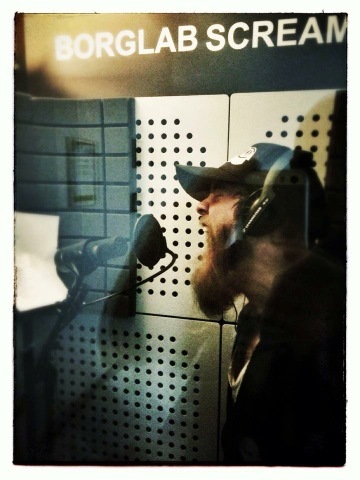 For your immediate voyeuristic pleasure, here’s an action shot from a recent vocal session featuring handsome devil Johan Hannu. As per usual, you’ll also find us disillusioned and drunk on Facebook, Twitter and email.